The inaugural report in the National Resource Center's new research series on college transitions examines institutional initiatives designed to support students in the second college year. 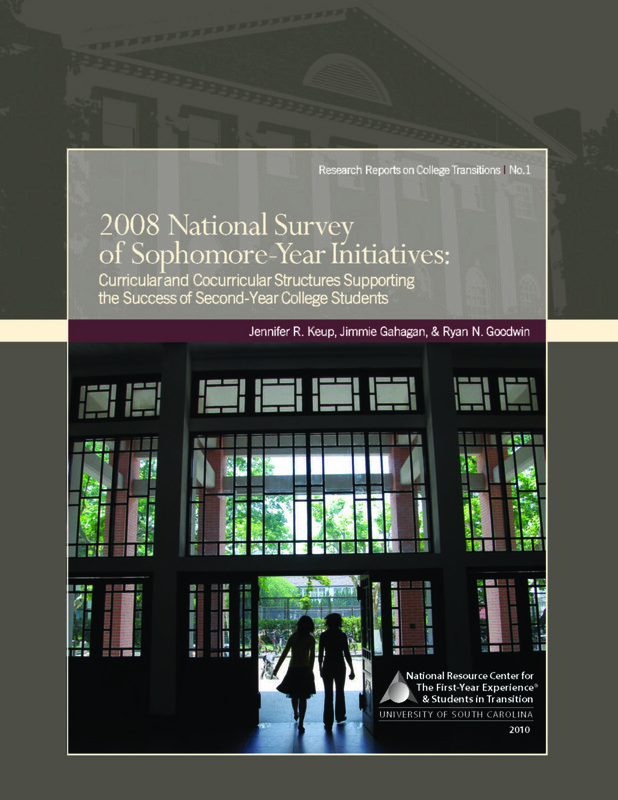 The authors report on findings from the second administration of the National Survey of Sophomore-Year Initiatives, describing the kinds of programs offered for second-year students, where those programs are housed, who directs them, and how they are assessed. Additional analysis provides insight into the initiatives offered at different institutional types and the structure of longstanding and successful sophomore initiatives.